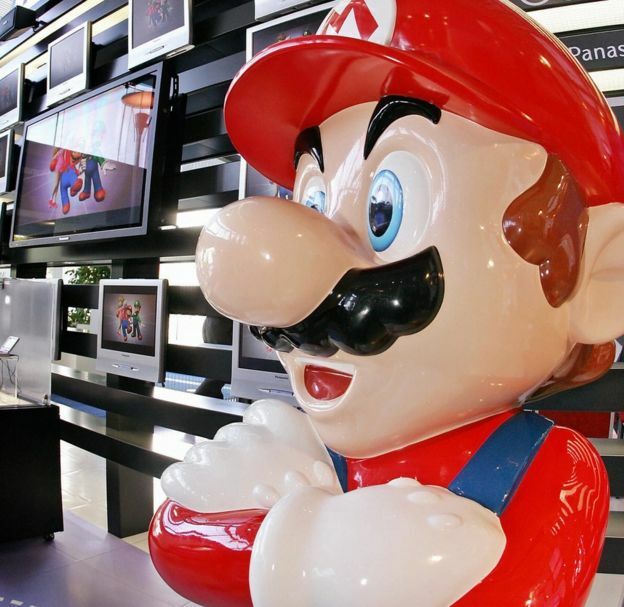 Until Japan’s Prime Minister Shinzo Abe popped out of a giant green pipe dressed up as video game character Super Mario, one of Japan’s best-known exports. It was then the world got a clue that, for Tokyo2020, the next Olympic hosts would take full and shameless advantage of Japan’s pop culture icons. 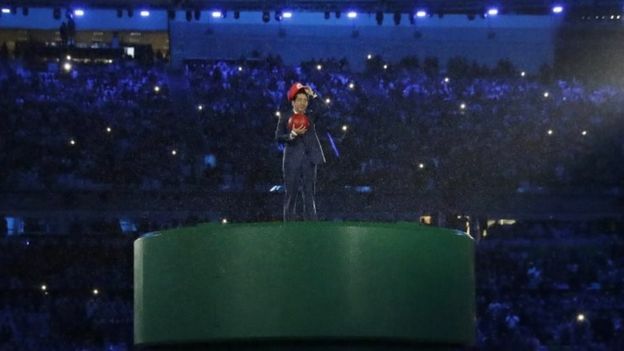 The Tokyo2020 video beamed to audiences in Rio showed Mario running excitedly around Tokyo then jumping into his famous green pipe. Cue the slow rise of the green pipe in Rio with a hunched Mario-like figure perched on top. 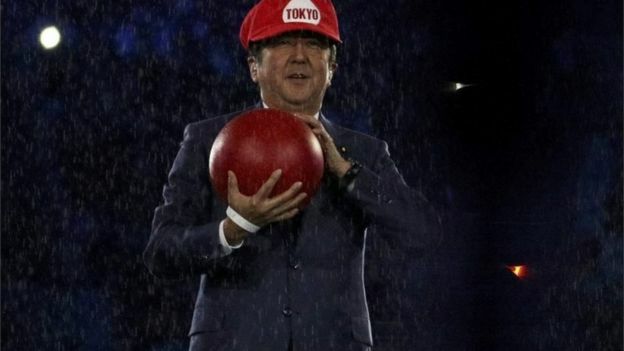 Japan’s Prime Minister, not famous for his extrovert displays and pop culture references, emerges dressed as Super Mario and doffs his hat to enthusiastic crowds, then setting social media alight. 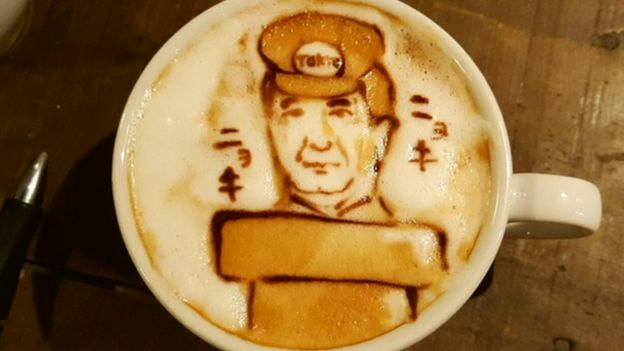 Image captionShinzo Abe going full cosplay. Image captionWhat a time to be alive. 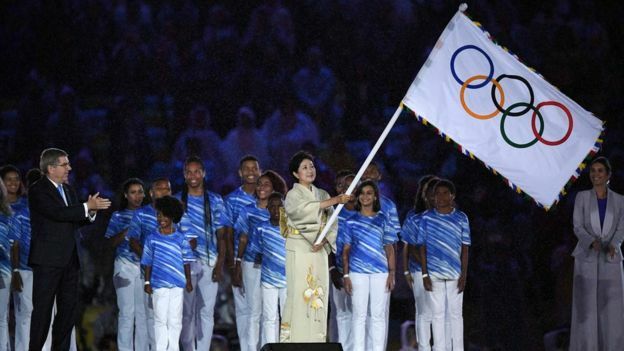 Some were quick to point out that Mr Abe was clearly the star of the show, overshadowing Tokyo’s newly-elected mayor, Yuriko Koike, who was in attendance waving the Olympic flag and dressed in a kimono. The parade ended with Mr Abe holding aloft a now glowing red ball, Japan’s rising sun. Super Mario is a fictional character in the hugely popular Mario video game franchise created by Nintendo. A stout Italian plumber famous for his red cap and blue overalls, he has appeared in scores of video games, becoming the world’s biggest selling video game franchise of all time. And what else can we look forward to in Tokyo? Mario was not the only pop culture icon in attendance. 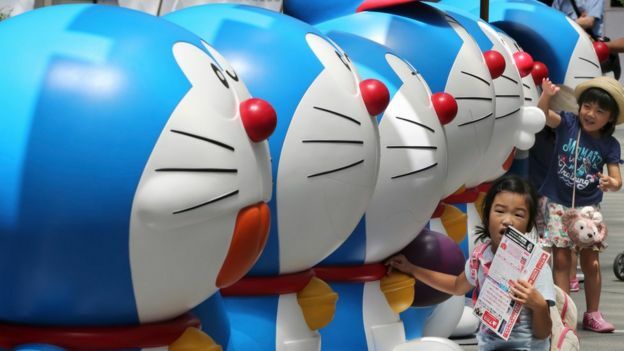 Doraemon, the animation character with a famous magic pocket from which he can pull out gadgets from the future, also featured in a preview video, along with the mouth-less cat, Hello Kitty. 1. 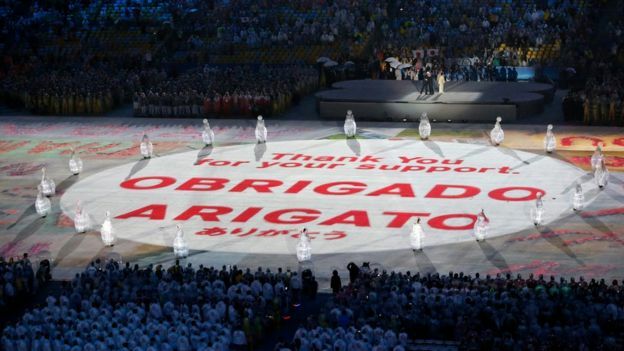 Please can Studio Ghibli help direct the opening ceremony? There were calls for Japan’s most famous film studio, Studio Ghibli, known for its fantastical tales and extraordinary animation to have a role in the opening ceremony. 2. Can Pokemon Go become a sport in 2020? 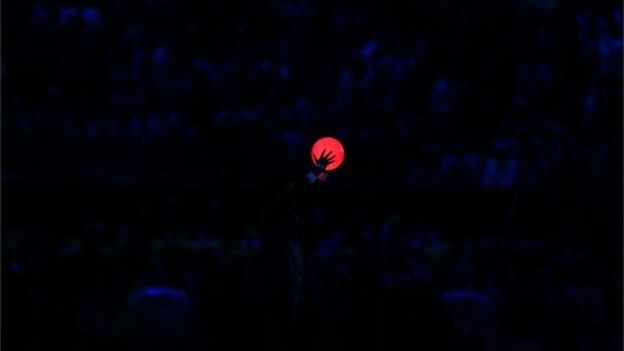 There were no Pokemon characters in the ceremony – about the only place they haven’t appeared in the past few weeks – but that did not stop people from suggesting it could become a sport in four years time. 3. Can Tokyo2020 be staffed entirely by robots? 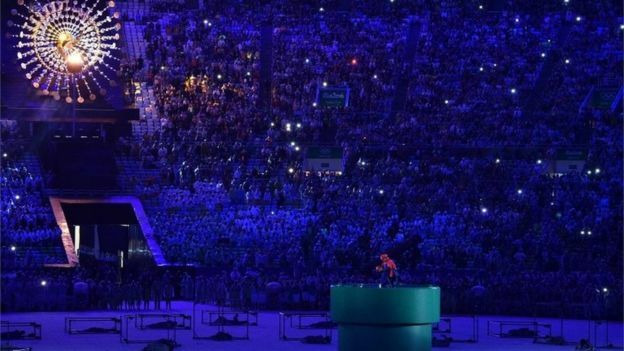 Many put in requests for robot volunteers to staff the Olympics or at least the ceremonies to employ robots as performers. In Japan, the interest in the ceremony was also fevered, with people apparently excited and delighted by their cosplay PM’s guest appearance. Some even felt the need to mark the once-in-a-lifetime event with caffeine. Others, however, weren’t as impressed, with one commenting that the event was “nothing compared” to Queen Elizabeth playing a Bond girl in the London 2012 Olympic Games Opening Ceremony. 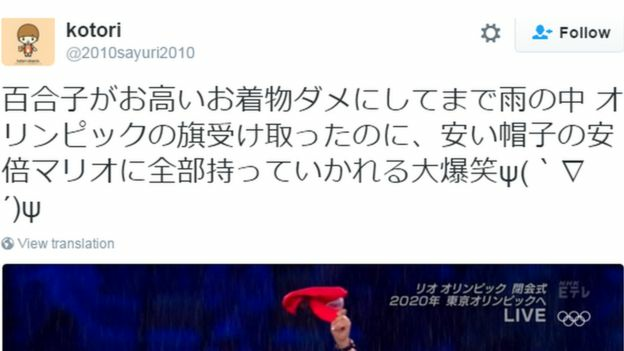 Yet Mr Abe’s appearance has provided some form of positive coverage for the Tokyo Games, which has been plagued by controversy. 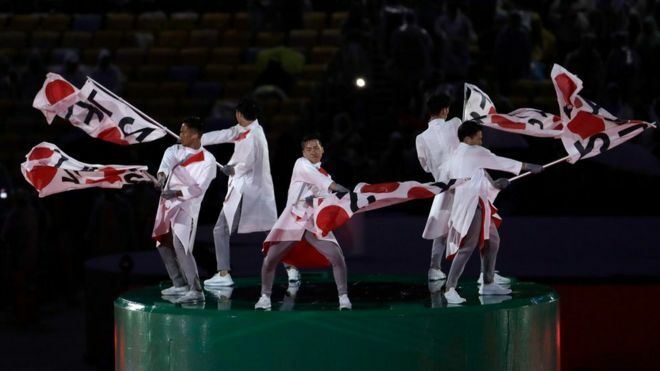 Tokyo was accused of plagiarising its initial Olympic 2020 logo, which it eventually changed, and the original stadium design by architect Zaha Hadid was scrapped due to spiralling costs. But for now, it seems many people are putting its bad publicity aside, and expecting their minds to be blown by whatever Tokyo has planned for four years’ time.